TALES FROM THE INNER CITY is a collection of incredibly original stories, rich with feeling, strangely moving, almost numinous. And when the reader comes to the artwork, it’s like walking into an amazing room, and then throwing open a curtain to see a brilliant scene that makes you understand and appreciate everything you’ve encountered in a deeper way. 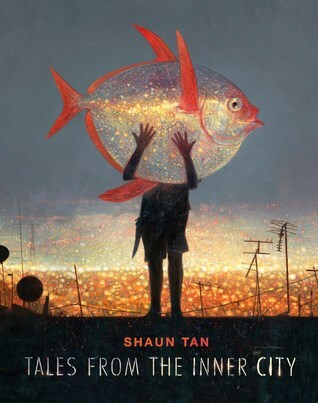 This is the latest and by far the longest of Shaun Tan’s book. The writing style and pictures were of the usual high quality that sets Shaun Tan’s book apart. Vast majority of the stories in this book are short and easy and fun to read. The longest story is about a moonfish. These moonfish, as the name suggests, live happily in the sky. There was a belief that if you managed to catch one and get it quickly to a buyer you can earn yourself a lot of money. However, what tended to happen was the moonfish would quickly begin to die once removed from the sky. Therefore, they needed to be put back in the sky to survive. 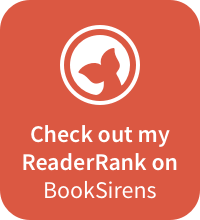 The overall message of these stories is how humans and animals interact with one another in an urban setting. However, I think there is also a message of how humans can take animals for granted whilst the animals are laughing at us. It’s a really enjoyable and fun read.